1 I am a retired lawyer - for 30 years I defended dentists in malpractice suits. I can tell you with some authority...you are exactly correct!! Many years ago I started going to see other dentists every time one told me I had a cavity. I'd go to another dentist, never mention I'd already been to see one, & the 2nd one would never mention a cavity. I also learned to never say I was having tooth pain (they are taught to ask). Just say "no problems" & see if they can find it. 2 As for why we have such an inefficient medical system, Milton Friedman accurately described it back in the 1970's. The problem is too much money. 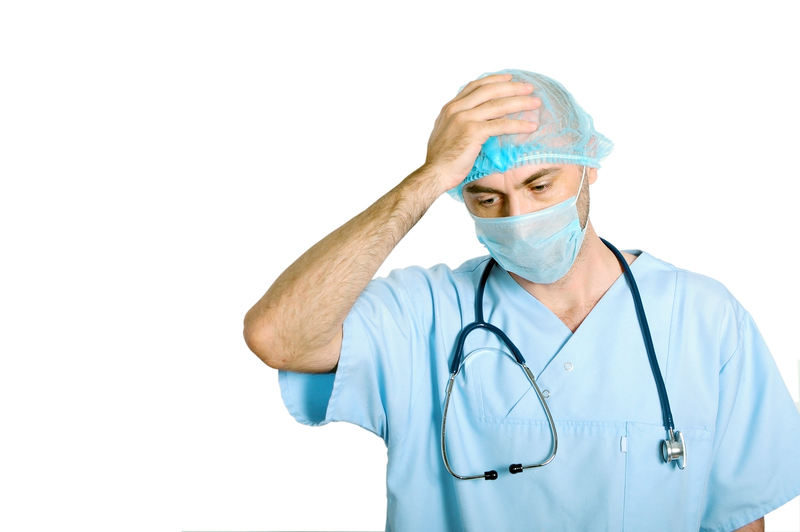 Government programs pump billions in to medical schools & they have to spend it. This is why we have studies on pregnant pigs, studies on insects, conflicting studies on the most minute aspect of everything. They have to spend that money. Way too much supply for the demand. So medical folks create more demand! 3 I'm enjoying your book on the Argentina Collapse. Very good! Thanks for writing it. Do you have an opinion on Bitcoin in preparation for an economic collapse? I don't see it on your site.. Thanks Jack for sharing your experience. I’m glad you’re enjoying my book too. I agree about this being a money problem (seems its always the issue). They just have to milk money out of the sheep any way they can. About bitcoin. I may have talked about it before but I’m no expert. Some of the most evil people in the planet seem to hate bitcoin so that makes me like it already. It may be a huge thing in the future, and today it does have a place for sure. It’s hard to understand what digital money actually is. I know it took me enough time, but once you understand why it’s “mined” and why that is important you understand it a bit better. I think its another tool in the tool box. I think of it as a digital version of gold, with some advantages over it and obviously some disadvantages, the greatest one clearly being the lack of time proven acceptance over thousands of years like precious metals. In a diversified portfolio I think it does have a place and I understand why people are excited about it although I try to be cautious. I talked before about avoiding “Unnecessary Surgery and Treatments”. Well, recently I followed my own advice so I hope telling you about this inspires you too to take control of your own health and not accept everything your doctor says without question. Last week I went to the dentist. This one would be new to me since I moved to Spain. In spite of the free (I know, nothing is really free but you know what I mean) medical care I have private. The plan that I have is pretty good from a well-known company in Spain. So I go to their hospital in the nicest part of town and after a bit of looking around and a fancy 3D scan of some kind I get told that I need two teeth pulled plus implants and work done on 6 other teeth. I already knew I had one in pretty bad shape that probably needed removed and have an implant but I was sure the other one could be saved and the other stuff, most of it honestly sounded like BS. An important part of developing modern survival skills is learning to “read” people. Not just listen to what they are saying, but learn to tell read their voice tone, body language, gestures and of course using your own common sense. This is how you avoid scams and con artists, how you get good business deals and how you learn to get an upper hand on all kinds of social interactions. This dentist guy, he just didn’t seem honest. His hurry to quickly get started with the pulling of teeth was pretty disturbing as well. After politely but firmly telling him that no, I was not getting my teeth pulled then and there I made an appointment for next week. This gave me time to get a second opinion. Thank God I got that second opinion. Turns out I only need one implant as I suspected. There’s no need to pull the other one. This second dentist didn’t mention any of those six other teeth that needed to be fixed, just one that has a small, visible dark spot, a cavity on top. It’s not just that I was going to get charged almost two thousand Euros worth of BS dentist work, I was also going to have this guy pull a teeth unnecessarily and probably mess up five others. The U.S. Health-Care system wastes $750 Billion annually on unnecessary health-care costs. You should expect your doctor to act accordingly and, pretty likely, either suggest or assure you that you need surgery, treatment or medication you don’t actually need. Accept this is very likely to occur. People: You know yourself better than your doctor or dentist. Always get a second opinion if you have the slightest of doubts. If you feel worried/confused/not sure of what to do, just do what I did. Say you can’t do it right now and get an appointment for some other time. This gives you time to think things over, get another opinion and cancel if needed. PS- Turns out the weapons and explosives were fake. The weapon used in one of the worst terrorist attacks in Europe after WWII is a truck. The knife is the quintessential survival tool. For the modern survivalist that doesn’t specifically carry a fixed blade as part of his daily required equipment the folder is the kind of knife he’s more likely to carry. Now pocket knives and folders come in all kinds. Any good knife is a useful tool. Some are particularly well made and designed, making them a pleasure to use and handy in a number of situations. And then there’s the hard-use folding knife. Yes, it folds. Yes, it fits into your pocket and yes it will open all the mail you get, cut strings and even help you prepare a sandwich. But it will also cut through dry wall. It will chop and stab through a 2x4 and pry open a door if needed or cut through metal to get you out of a car wreck. Yes, it will not break or otherwise fail if ever used in the art of putting two-legged predators down. Many handy, outstanding folders and pocket knives simply aren’t made for that sort of situation. But the Zero Tolerance 0550 is. The titanium frame lock holds the blade in place, the thumb stud rests against the frame for additional support. The steel is outstanding S35VN, meaning it will hold an edge considerably longer, take more abuse without chipping, rolling or breaking. At 3.5” the blade isn’t too big but it is big enough. “built like a tank” is read often when researching the ZT0550 although it really is a comfortable, medium size knife. Check out this torture test video of the ZT0550. 5 LEOs DEAD: Hate and Intolerance in America.. and the rest of the world. I just begin reading your book surviving economic collapse. On page 33 you mention LASIK and referred to the US Navy and Air Force. I have personal knowledge knowing Air Force surgeons and having been an opthamologist that the procedure recommended is not LASIK but thermal keratoplasty. 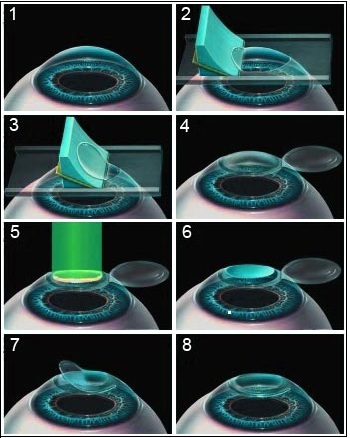 The difference is that thermal keratoplasty uses the laser to modify the corneal shape without slicing through the cornea like LASIK. The sliced flap can be dislodged rendering the vision in the eye completely blurred. Thermal keratoplasty is more uncomfortable than LASIK but has equally good results and less risk. That being said you're better off with LASIK than glasses for your purposes. Thanks for your email Robert. You are right. Keratoplasty is the recommended procedure when possible for patients that are likely to suffer trauma, such as military personnel and of course survivalists as well. At the time I wrote that it wasn’t as common as it is today and LASIK had become a procedure accepted by the Air Force for their pilots. LASIK involves the cutting of a small flap while keratoplasty shapes the eye surface itself, without the cutting of a flap. The flap may be completely cut off during surgery by accident or become detached by trauma. Keeping things in perspective, its very unlikely to suffer accidental flap detachment during surgery and even in thousands of cases of very strong trauma flap loss is a very rare incident. Having said that, indeed, if I was doing it today I’d go for Keratoplasty. Its cheaper, safer, and there’s no flap to mess up in the first place. Food prices are very likely to go up steadily in the future. Failed crops, climate change (man-made or otherwise) and disasters are likely to send food prices up almost 400% in the not so distant future. One day you may be happy you put a lot of it aside.